We offer pre employment drug screening to all businesses at competitive pricing. All you need to do is select the drug screening option from your employment screening menu. MRO'S are licensed physicians and who are responsible for receiving and reviewing drug test results generated by an employer's drug testing program. 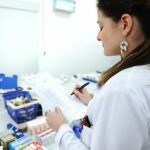 A primary responsibility of the Medical Review Officers (MRO) is to evaluate any medical explanations for certain non-negative drug test results. MRO'S also determine if there is a legitimate medical explanation for laboratory confirmed adulterated, substituted and invalid drug test results. Recent drug use is best detected with Urine drug testing and is the only testing method approved for federally-mandated testing. Businesses rely on laboratory-based urine testing for its cost-effectiveness and capacity to screen for a wide variety of drug substances. See our page on pre-employment drug screening frequently asked questions for more information employers need to know about employment drug screening. 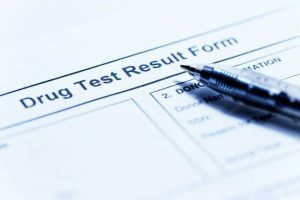 Drug testing aims to filter drug users from the workplace as well as to deter drug use on the job. Urine testing is the most common screening method and detects recent use, typically in the previous one to three days. It is suitable for all testing reasons – from pre-employment drug screening to random drug testing to post-accident. It can also be performed for a wide range of illicit and prescription drugs. While a positive urine test does not necessarily mean that an individual was "under the influence" at the time of the test, it has become the standard for evidence of "current use" for the U.S. Department of Labor. Urine testing is also the only method allowed for federally mandated drug tests. While it is the most common drug testing method, urine testing is not foolproof. With specimen validity testing, we can help ensure the integrity of the test by measuring pH, creatinine and specific gravity (when indicated) and testing for adulterants that may be added to the urine specimen. Quest Diagnostics is one of the few laboratories to offer oxidant identification for some of the most common oxidizing adulterants and is available when requested by the customer or Medical Review Officer. Drug abuse in the workplace puts employers at a risk for higher insurance costs, more on the job accidents, increased absenteeism and lower productivity. Urine testing, like all drug testing methodologies, helps to mitigate these risks by screening out applicants and employees who use drugs. Do we have to send a Preliminary / Final notice of adverse action when an applicant fails a drug test. Employers and applicants often use the term “background check” to describe a process that can include one or more employment screening services. This may include criminal records background checks, personal employment credit reports, driving records, past employer checks and drug test results. In summary, some background check companies will include drug test results in their reporting services. In this case, it is likely that the drug test will be considered a consumer report. On the other hand, if an employer obtains the information directly from a drug-testing lab, it is less likely to be considered a “consumer report” and subject to the FCRA. The FTC offers specific guidance on drug tests as consumer reports.